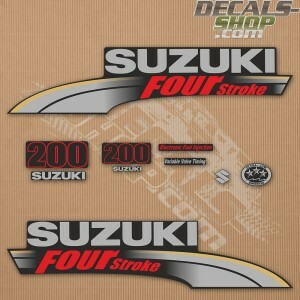 At this category you can find decal sets for most popular Suzuki outboard engines. 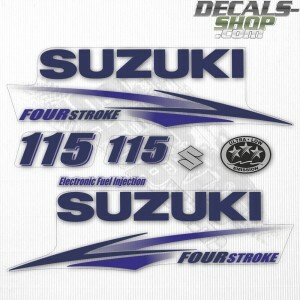 If you does not see your decal set here, you can contact us using contact form. Other way to help is to send us correct sizes of the original decals and good quality frontal photo of the decal before replacement with aftermarket set. If you do this you will receive whole aftermarket set absolutely free with free worldwide shipping. 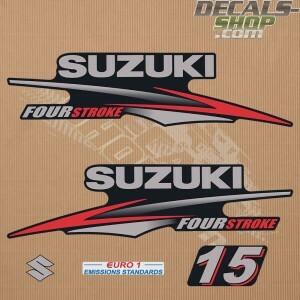 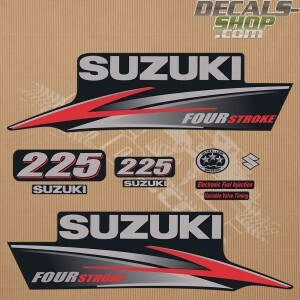 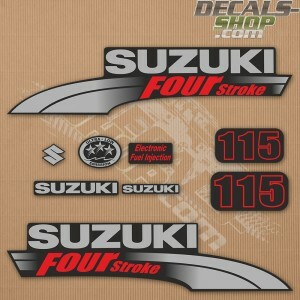 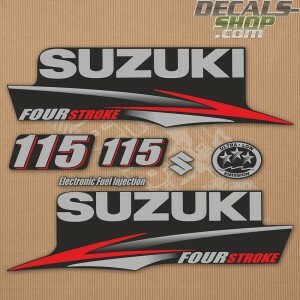 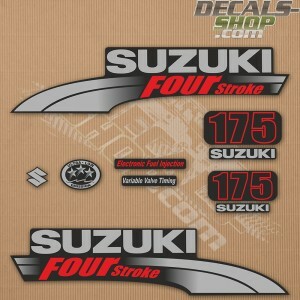 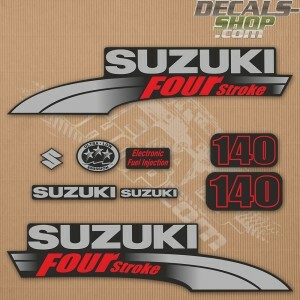 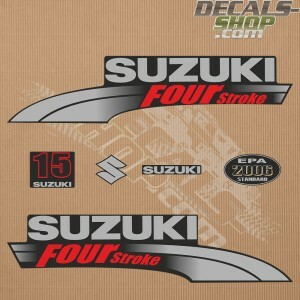 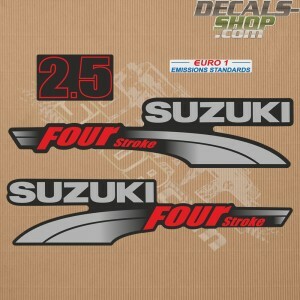 Suzuki DF115 115hp Four Stroke - 2003 - 2009 Outboard Decal Kit- Reproduction Decal Kit.- Fits the S..
Suzuki DF115 115hp Four Stroke - 2010 - 2013 Outboard Decal Kit- Reproduction Decal Kit.- Fits the S..
Suzuki DF115 115hp Four Stroke - 2010 - 2013 Outboard Decal Kit Blue- Reproduction Decal Kit.- ..
Suzuki DF140 140hp Four Stroke - 2003 - 2009 Outboard Decal Kit- Reproduction Decal Kit.- Fits the S..
Suzuki DF15 15hp Four Stroke - 2003 - 2009 Outboard Decal Kit- Reproduction Decal Kit.- Fits the Suz..
Suzuki DF15 15hp Four Stroke - 2010 - 2013 Outboard Decal Kit- Reproduction Decal Kit.- Fits the Suz..
Suzuki DF150 150hp Four Stroke - 2003 - 2009 Outboard Decal Kit- Reproduction Decal Kit.- Fits the S..
Suzuki DF175 175hp Four Stroke - 2003 - 2009 Outboard Decal Kit- Reproduction Decal Kit.- Fits the S..
Suzuki DF2.5 2.5hp Four Stroke - 2003 - 2009 Outboard Decal Kit- Reproduction Decal Kit.- Fits the S..
Suzuki DF200 200hp Four Stroke - 2003 - 2009 Outboard Decal Kit- Reproduction Decal Kit.- Fits the S..
Suzuki DF200 200hp Four Stroke - 2010 - 2013 Outboard Decal Kit- Reproduction Decal Kit.- Fits the S..
Suzuki DF225 225hp Four Stroke - 2003 - 2009 Outboard Decal Kit- Reproduction Decal Kit.- Fits the S..
Suzuki DF225 225hp Four Stroke - 2010 - 2013 Outboard Decal Kit- Reproduction Decal Kit.- Fits the S..
Suzuki DF250 250hp Four Stroke - 2003 - 2009 Outboard Decal Kit- Reproduction Decal Kit.- Fits the S..
Suzuki DF250 250hp Four Stroke - 2010 - 2013 Outboard Decal Kit- Reproduction Decal Kit.- Fits the S..